Home blank canvas books christmas christmas party cocoa brown contouring gift ideas news other sanctuary secret santa soap and glory sosu sparkle Stocking Fillers for Beauty Lovers Under €20! Stocking Fillers for Beauty Lovers Under €20! Now that it's finally December I feel as if it's acceptable to talk about Christmas. And what better way to start off than with a blog post about some amazing stocking fillers I've come across online for under €20! First up is something from one of my favourite brands.. most girls are going to want a nice tan and a bit of sparkle over the Christmas part season and the Cocoa Brown products are just perfect for this! I found this Cocoa Brown Bronzed & Beautiful Gift Set on Simply Foxy for just €9.99. The set includes: Cocoa Brown 1 Hour Tan, 1 sachet of Cocoa Brown Tough Stuff Body Scrub and Cocoa Brown Gentle Bronze Gradual Tanner. This set is a complete bargain and is sure to save someone's "I forgot to buy tan" dilemma this Christmas! Cocoa Brown Bronzed & Beautiful Gift Set, €9.99 from Simply Foxy. For someone looking for that extra bit of sparkle, Cocoa Brown have finally just released their Golden Goddess Shimmering Dry Body Oil just on time for Christmas. You can pick it up in Penneys stores over the next few weeks as well as pharmacies nationwide. RRP €11.95. If you follow bloggers you've definitely heard of Zoella and Tanya Burr at some point. The two famous bloggers have their own range' of products and they're sure to make any fan happy this Christmas. From shimmer and bath fizzers to lip balm and cosmetic bags, the Zoella Beauty range has everything for a beauty fan. Cloud10Beauty stock her products and prices range from €3.99 to €15.99 so there's something for every budget. Shop the Zoella Beauty range on Cloud10Beauty here. Cloud10Beauty also stock some of the Tanya Burr range and have these nail polishes for half price on their site on the minute. You can get a gift set of 3 polishes for just €7.48! Perfect for anyone who loves having their nails done. Shop the Tanya Burr range on Cloud10Beauty here. I've always been a fan of the Sanctuary range because they're perfect for any age group, they feel and smell so luxurious and they aren't too harsh on your wallet either! I picked out this Sanctuary Just Because Gift Set from Boots as one of my stocking fillers under €20. The Gift Set contains: Sanctuary Cleansing Burst Body Wash, Gentle Polish Body Scrub, Luxurious body butter and their Velvety hand cream. All of these products come in a pretty box too so there's no need to worry about wrapping this one up! 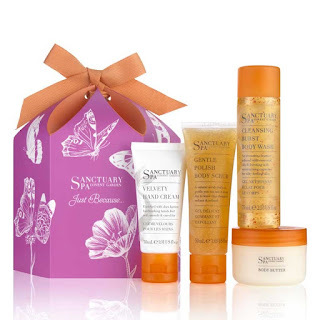 The Sanctuary Just Because Gift Set is available here from Boots for just €14. Boots are also doing a 3 for 2 on selected indulgent bathing products too so you could pick up a few gifts at bargain prices! Contouring has taken the world by storm this year and almost everyone knows a contour queen. 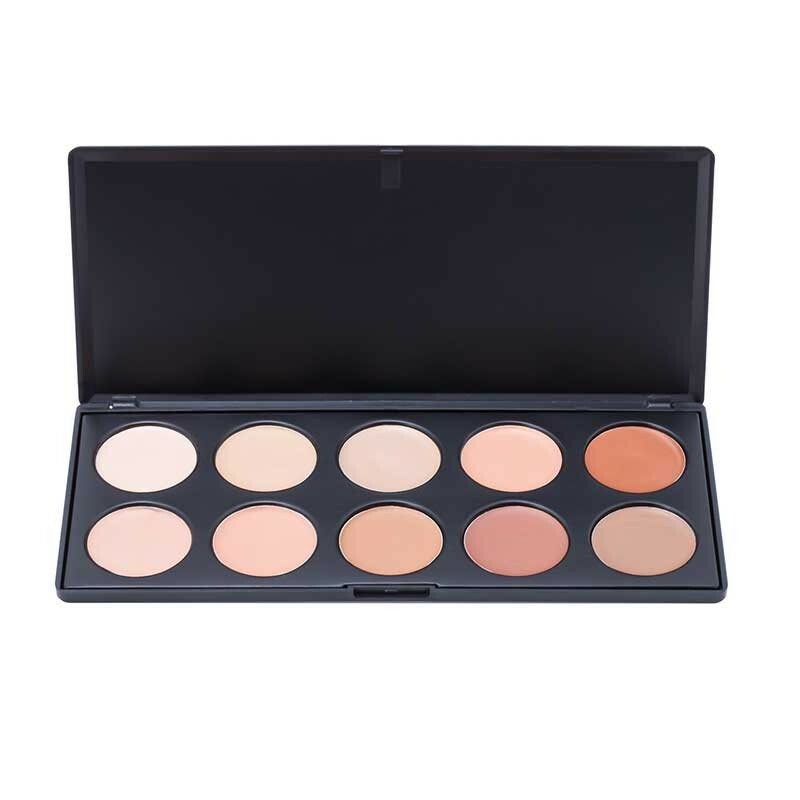 Cloud10Beauty stock Blank Canvas Cosmetics that do a great 10 cream contour and concealer palette for just €19.95. This is perfect for anyone that loves to contour or hey, buy it for yourself to help you look flawless on those Christmas nights out! 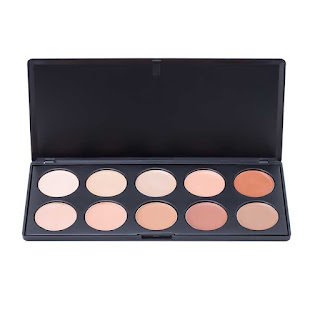 Shop the Blank Canvas Cosmetics 10 Cream Contour (Concealer) Palette from Cloud10Beauty here. For anyone in your life that's a fan of beauty and loves a good read Easons have some great books from some Irish bloggers. 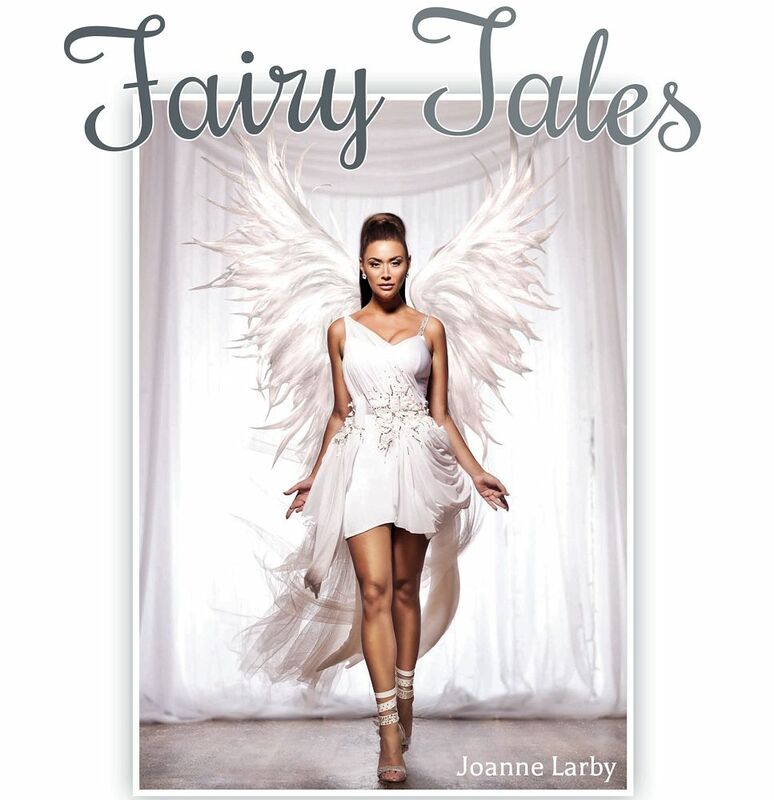 Joanne Larby or The Makeup Fairy as she's sometimes known has just released her book "Fairy Tales" which is full of all her beauty and fitness secrets (perfect for those New Years resolutions eh?) the book is €19.95 and is on 3 for 2 at the minute so you could pick up some other presents while you're at it! 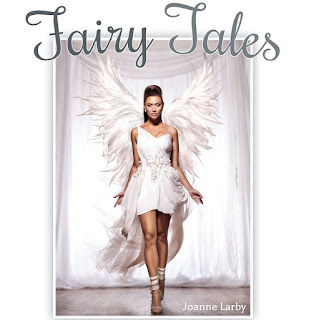 Shop Joanne Larby's Fairy Tales from Easons here. 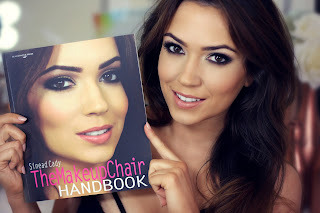 Sinead Cady of The Makeup Chair also has her own book out at the minute called "The Makeup Chair" where she tells all her favourite tips and tricks and how to's. Easons have it for €14.95 and this book is also on 3 for 2 at the minute so get it while there's stock left. Shop the book from Easons here. I'm sure we've all gotten a gift of some Soap and Glory products at some point and this year will probably be no different. Soap and Glory Belle of The Ball is a giant Christmas bauble that's jam packed with some of their products. The bauble contains: Soap & Glory Smoothie Star Body Wash, Soap & Glory Smoothie Star Breakfast Scrub Body Smoother, Soap & Glory Smoothie Star Hand Food Hand Cream and a body polisher. The Soap and Glory products smell amazing and leave your skin feeling so soft so there's no doubt whoever you give this to will be delighted with it. Might I add, the packaging is insanely adorable for Christmas! You can buy the Soap and Glory Belle of The Ball Christmas Bauble here from Boots for just €17.50. Last but not least is the new SoSu by Suzanne Jackson Nail Polish Gift Sets. Suzanne or SoSueMe is one of Irelands' biggest blogging stars, earlier this year she launched her SoSu by Suzanne Jackson Nail Polishes which are available in Penneys stores and in pharmacies nationwide. Just in time for Christmas Sue has launched the SoSu Nail Polish gift sets that contain 2 of the SoSu polishes as well as a SoSu scented nail polish remover. The gift sets retail for €19.99 and will be available in Penneys stores, pharmacies and on sosu.ie from next week! So that's it for my Stocking Fillers for Beauty Lovers under €20, let me know if you enjoyed it and I might do another few blog posts like this in the run up to Christmas. As always thanks for reading..